Two senior RTE executives have left their current positions with the broadcaster while ‘Prime Time Investigates’ has been axed following a report into the station’s ‘A Mission to Prey’ programme and the Fr Kevin Reynolds libel affair. Ed Mulhall, managing director of RTÉ news and current affairs, has retired from the broadcaster and ‘Prime Time Investigates’ editor Ken O’Shea, who is also editor of current affairs, has resigned his position. O’Shea will remain with RTÉ and is now “transferring to an assignment in Television, reporting to the commissioning editor for RTÉ Two”. 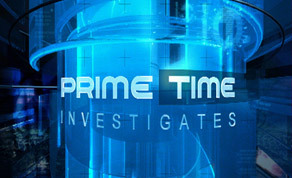 The ‘Prime Time Investigates’ series is also to be permanently axed, RTÉ has announced. RTÉ director-general Noel Curran made the announcement to staff in Donnybrook yesterday (April 4). In a statement, Mr Curran thanked Mr Mulhall for his service and said that his retirement had come into effect as of the end of last month. Mr Mulhall had been director of news and managing director of news and current affairs for 14 years and also sat as a member on the station’s executive board. It followed yesterday’s announcement from the Broadcasting Authority of Ireland that it had completed its report into the ‘Prime Time Investigates’ documentary ‘A Mission To Prey’, which had libeled Fr Reynolds. Curran also announced that a new current affairs investigations unit is to be established to provide content across all the station’s media strands - television, radio and online. Plans for new investigative TV documentaries from the investigative unit – as a means of replacing ‘Prime Time Investigates’ - will be announced in the Autumn schedule. The station will also restructure television current affairs management and structures with five senior posts in television news and current affairs management to be filled. They include managing director for RTÉ news and current affairs; managing editor television current affairs; editor ‘Prime Time’; editor ‘Frontline’; editor RTÉ investigations unit. The broadcaster will recruit externally. The establishment of a new Editorial Standards Board, as well as a revised set of standards and guidelines or journalists were also announced.